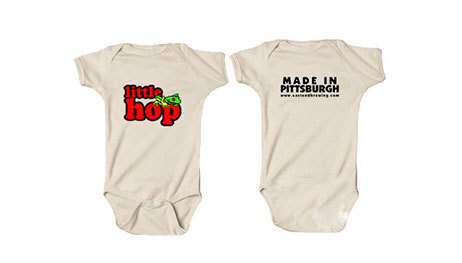 East End Brewing is Pittsburgh's home for Fresh Local Beer since 2004! We're a Brewpub, Taproom, and Production Brewery distributing kegs, cans, and even a few BIG bottles throughout Western Pennsylvania. We have TWO locations, both offering Pints and Taster flights. And we also have Big Bottles, Cans, Growlers, and Crowlers our our beers to go. At the Brewery location, we also offer Kegs, or you can come take a Brewery Tour. Check out the Events and This Just In for the latest on what's going on at the Brewery. Year-round staples, Seasonal brews, One-off batches, barrel aged projects... with more than 35 beers brewed each year, you're always find something new going on around here. And we’ve always got non-alcoholic Barmy Soda and Commonplace Coffee Cold Brew too. 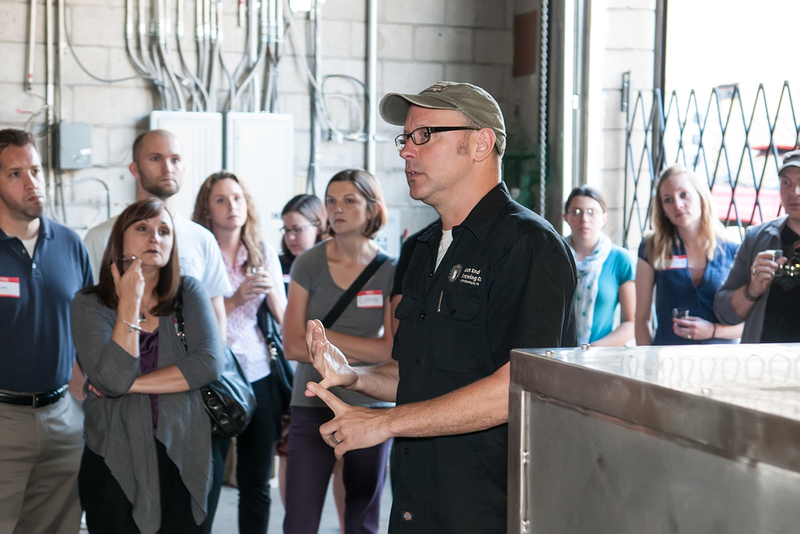 Just about every other Saturday, we host a Grains-to-Glass Brewery Tour. Reserve a spot for yourself or book one as a gift! Gift Cards, glassware, hats, tshirts, work shirts, play shirts, stickers, bike jerseys, beer soap... just anything you can imagine for your favorite GOOD BEER Fan in your life... even if that person is you. Current beer list for this location. We love dogs! Well-behaved dogs on leash are welcome at our outdoor space at either location. Unfortunately due to our new kitchen, dogs are not allowed inside either the brewpub or taproom space. Licensed service animals are permitted, but otherwise dogs must remain outside. * We keep to these hours more than 360 days a year. If it's a holiday that requires us to deviate from this plan, we'll post something over here, on the blog. Have a look if you're wondering about the next upcoming holiday. Need more than just a pint or a growler of beer? Click here for the lowdown on kegs. And while we're happy to fill a fresh growler for you, we don't buy back our old growlers anymore. So why not hold onto 'em and fill 'em with FRESH LOCAL BEER? Want to stay in touch and be notified of beer releases and brewery news? Sign up for our mailing list here!